On September 19, 2017, at 1:14pm, a 7.1 magnitude earthquake hit central Mexico killing more than 300 people and injuring more than 2800. The small state of Morelos has become the one of the epicenters, was the second most impacted area with 97 fatalities and more than 350 injured. While there are not yet available statistics of the extend of property damage, many people partially or completely lost their homes and businesses. 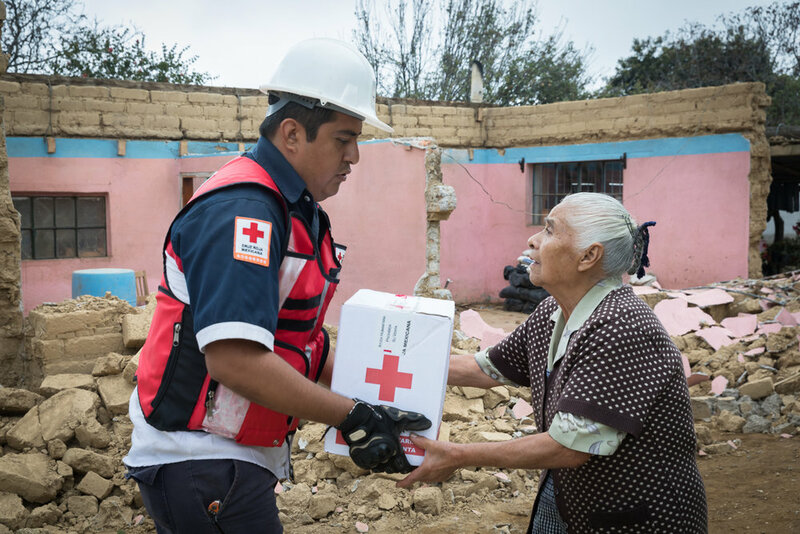 From September 23 to September 26, PWB photographer Francisco Alcala Torreslanda documented the work the Mexican Red Cross is doing to support the people impacted by this deadly disaster that has left so many homeless. Torreslanda followed crews to the areas of Hueyapan, Tecomalco, Chinameca, Olintepec, where they delivered food and other provisions. During this process, he spoke to some of the families they encountered and has set up a GoFundMe page to help support these families. The people of Mexico have massive needs right now. Many families have seen their livelihoods completely disappear and have been forced to live in the streets. They need our help. The money received through this effort will be divided between 14 impacted families, including the ones pictured here.